Flax seed has been around, since the days of Babylon. It's healing powers were already known, even back then.. and it is only now, in the days of all-Organic and health crazes, that we have finally jumped on the bandwagon. 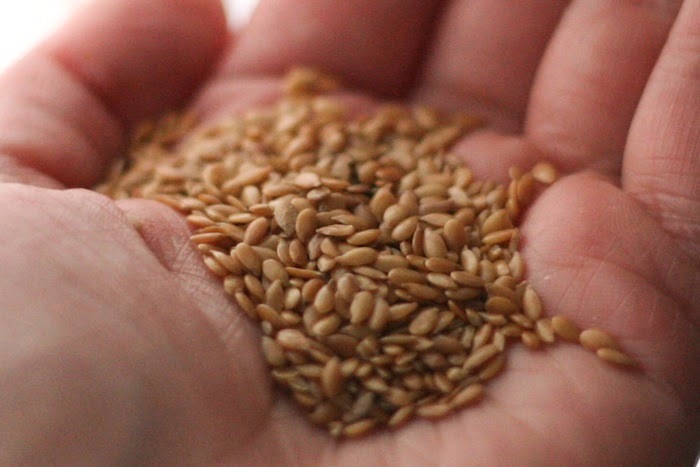 Flax seed has components, that are essential to us humans. Gone are the days, when just popping a Vitamin C pill in the morning, was enough. What we are discovering in superfoods, as well, make healthy eating and cooking an instant new adventure. On top of all that, studies show that Flax seed, may help protect you from cancer. That alone, is something to seriously aim for, in this day and age, when we seem to be coming up with new kinds of illnesses, every day. I usually add Flax to my shakes, granola, and an endless amount of other recipes, which YES, I shall share with you all asap!